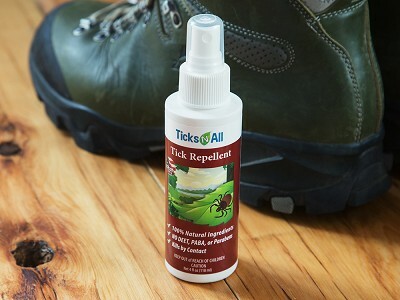 Ticks-N-All Maker Kevin Newell has a background in vector-borne diseases. What is that exactly? Great question. Any disease carried by mosquitoes, ticks, and other bloodsucking insects is vector-borne. 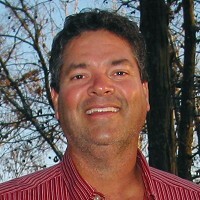 Kevin’s experience in this field inspired the development of natural alternatives for repelling pests from people and pets. 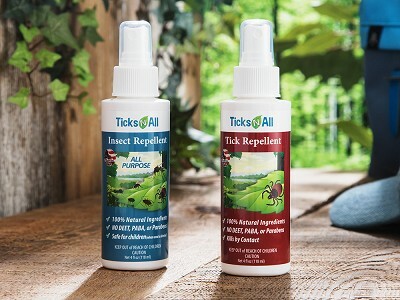 The non-toxic repellents are all Made in the USA and are formulated with organic oils like castor, geranium, rosemary, thyme, and peppermint. Purposefully left out of the sprays are parabens, DEET, and harsh chemicals. The sprays are each specifically formulated for people, cats, and dogs. Give yourself (and the kids and pets) a spray-down before heading outside for a layer of natural protection. The natural ingredients can help soothe skin if you get bitten, too. When should I use Ticks-N-All? 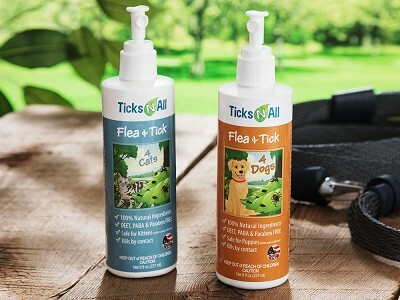 Apply when you’re going outdoors to repel ticks, fleas, flies, and chiggers. How often should Ticks-N-All be reapplied? In general, you should reapply repellent every four hours. Sweating, perspiration, or getting wet may mean that you need to reapply repellent more frequently. Many of the natural compounds are terpenoids formulated to interfere with the homing systems and basic metabolic, biochemical, physiological, and behavioral functions of insects. Some compounds exhibit central nervous system toxicity causing hyperexcitation of nerves and muscles, while other compounds destroy the wax coating of the insect's respiratory system. Some of these compounds are pheromones that alarm living insects indicating danger, prompting them to avoid others who have succumbed to disease or places where predators lurk. Can Ticks-N-All protect the area around me? Repellents are effective only at short distances from the treated surface, so you may still see insects nearby. 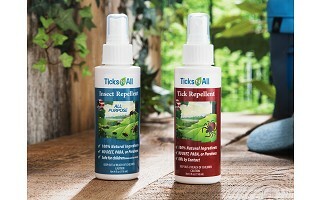 Ticks-N-All Maker Kevin Newell has a background in vector-borne diseases. What is that exactly? Great question. Any disease carried by mosquitoes, ticks, and other bloodsucking insects is vector-borne. Kevin’s experience in this field inspired the development of natural alternatives for repelling pests from people and pets.